In full disclosure this is not Lynn. Hopefully, she will approve of this post and hopefully I can do it justice. 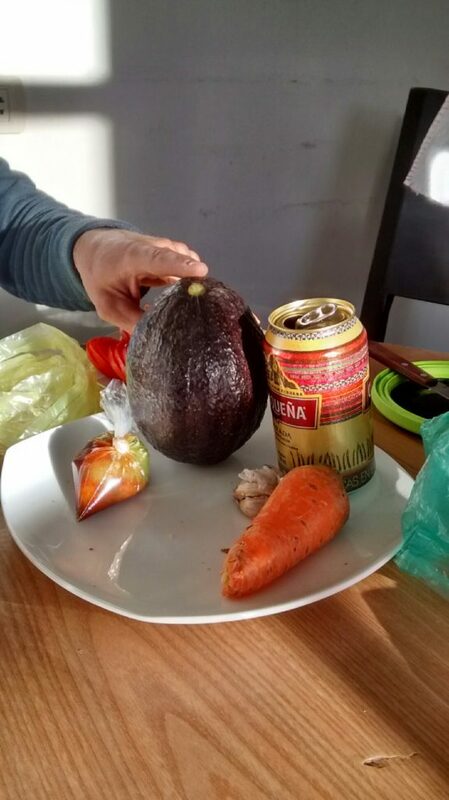 So here is a little bit of an idea about the food here in Peru from dad. We started our trip, like almost everyone arriving in Peru, in the capital of Lima. 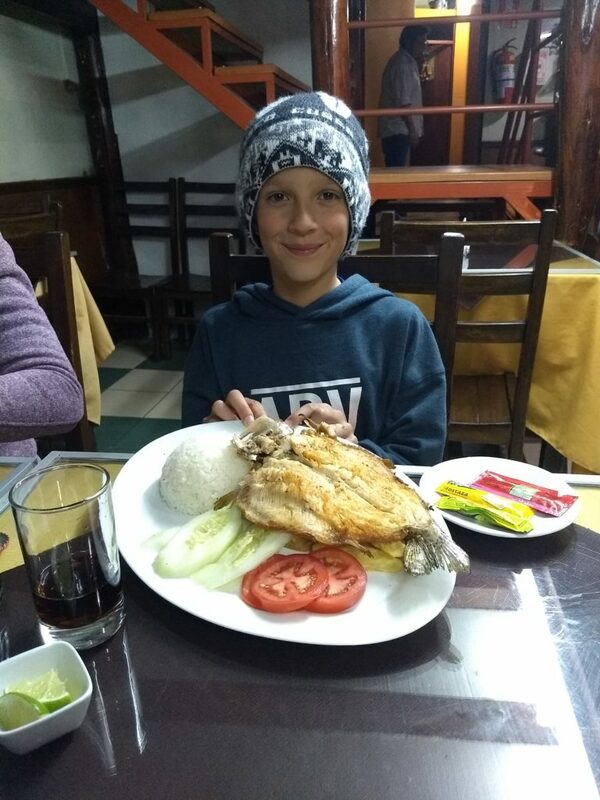 We only had a day there so we really didn’t get a true feel of the cuisine of Lima. We did have some excellent Ceviche which cost about $8 USD. Lynn had a great mango smoothie, as in it was mostly mango, and I think it was only about $3. Before I continue a quick note: I will be stating all number is US dollars. I think it will make more sense for you and I don’t think Lynn has too many Peruvian readers. We started our trip for real in the Sacred Valley. This valley is full of Inca ruins including the famed Machu Picchu which Lynn already wrote about. 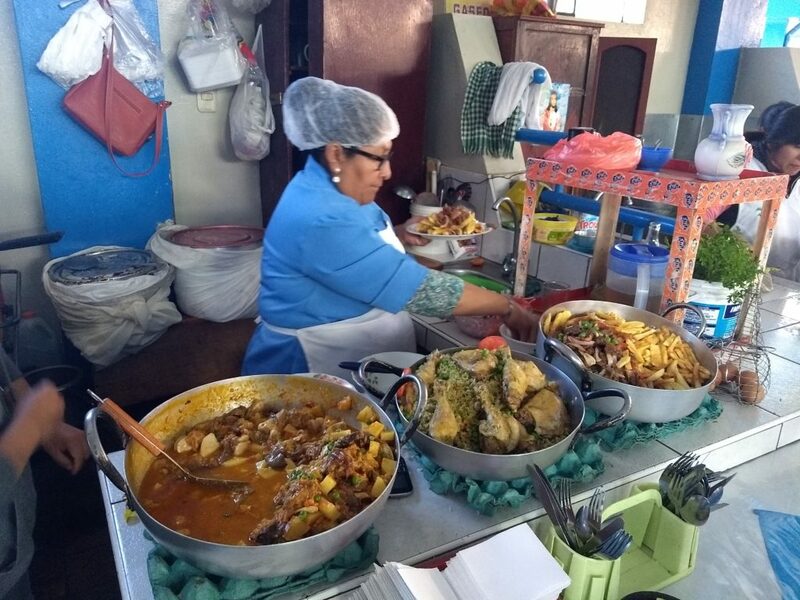 Our first real food experience was in the market of Urubamba. 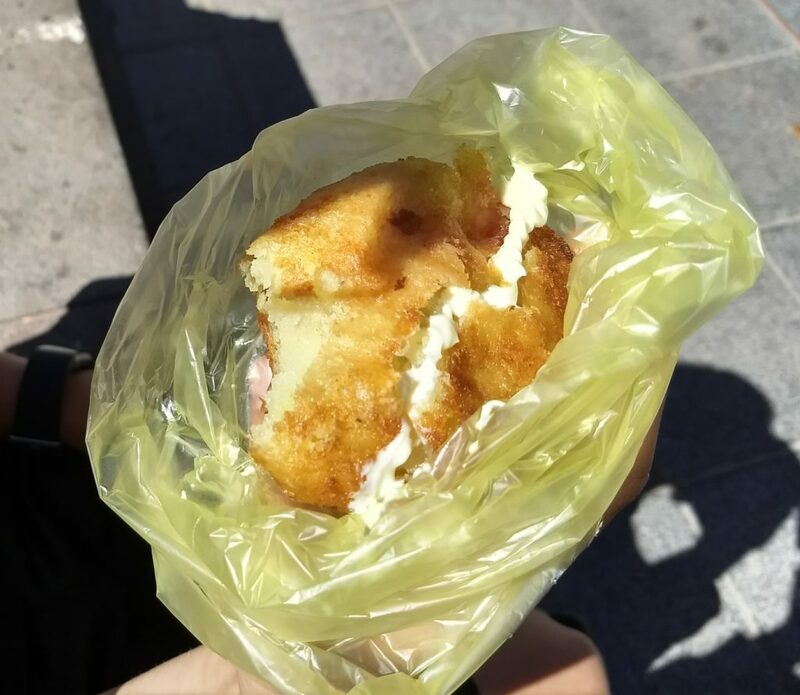 A street vendor had these little fried potato rolls that were filled with veggies. Like a chicken pot pie wrapped in potato and fried. The kids loved them with mayo on top, Melissa and I with a local salsa, and the total price for one was $0.30. Yes, that’s right 30 cents. So for $1.20 we could all have one. If we had two it would have counted as lunch. We then went into the market and got the biggest avocado I have ever seen for $0.60. This one avocado made as much guacamole as three back at home. Absolutely amazing. However, we still were not done in the market. On the second level all the locals were eating lunch from tiny food stalls. Just like you would see on all the T.V. shows. After walking a bit we saw one that had Lomo Saltado. This is a Peruvian dish with steak, sauteed onion, and tomatoes, and it’s served over rice and french fries. The french fries part sounds weird I know, but believe me it works. We also tried a variation of this with potatoes and some mystery meat over rice. These two dishes, which were enough food for all four of us, cost about $3. I will admit the mystery meat dish was so so, but the Lomo Saltado was delicious. In fact, after trying it a couple more times the market stall Lomo is still our favorite. Back in Cusco, we started our stay like any other, by going to the grocery store. We have made dinner once or twice here but it is getting exceedingly difficult to bother. Why? Well on our first day we noticed a restaurant that was serving a pop, soup, and main course for $5. Everett had the pan fried trout, Lynn had Alpaca steak, and I had Lomo Saltado again. Melissa had to fend for herself by eating off of everyone’s plates. Not to mention we got three bowls of chicken and quinoa soup. Three of these meals was almost more food than the four of us could eat. The grand total on the credit card was actually just under $15…gotta love a good exchange rate. The next day we discovered that as we walked towards our rental, and away from the Plaza de Armes, the main tourist area in Cusco, the prices steadily dropped. The next night* we went out for the same soup and main course deal, ate almost the same food but better in my opinion, and spent $10 for the three of us. Then Iso** tells us that in her smaller town this would be considered to expensive. She said $2 a meal there is more the norm. I just cant get over it. For what we would pay for one person in the US we get a meal for all four of us. Why doesn’t everyone just move here? Mountains, rivers, scenery, amazing Inca ruins, Spanish architecture, and great food for next to nothing. Well, I could tell you but that would take another post. Maybe next time. *Lynn got sick the night after this dinner. However, sometimes it takes up to a week for food or water illnesses to kick in. Iso also told us a lot of people get sick from showering…because we are so used to not worrying about water getting in our mouths. We ruled out altitude sickness because we were at 9,000 – 11,000 feet for a week before she got sick and we had an easy day the day before. Finally, we were at similar altitudes last year in Colorado for 9 days and she was fine…and one of those days was a hard hike up to near 13,000 feet. In about 1 day she was luckily much feeling better. **Iso is a friend of ours from college. Lynn can tell you more about Iso, but she grew up in Lima, and now teaches here in the mountains of Peru.